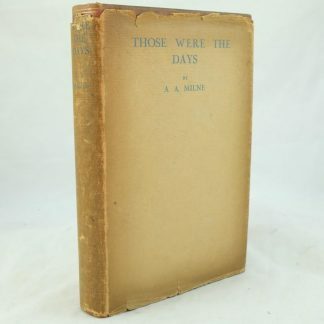 First Edition 1930, Limited Edition signed by the author, numbered 237/250. Published by Chatto & Windus, London. 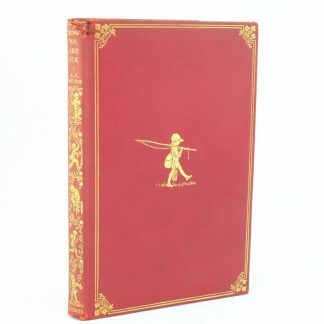 This special and antique edition of the play is in a very good condition throughout. 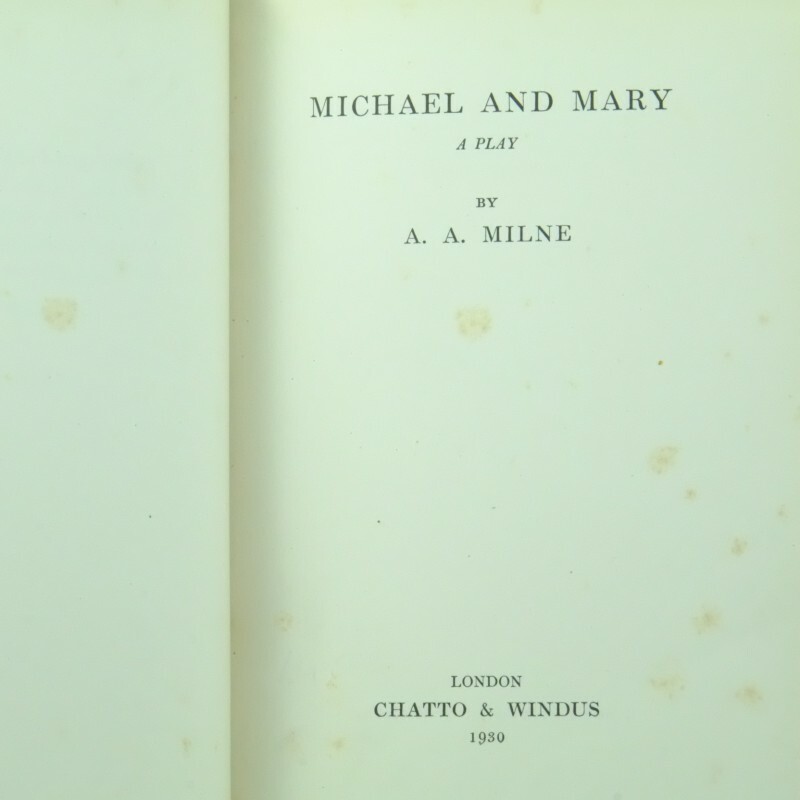 Michael and Mary is one of Milne’s early attempts at play writing from which he achieved considerable success. 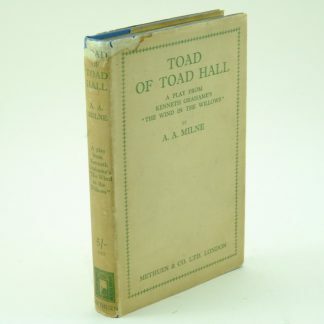 The play was performed on Friday, December 13, 1929 at the Charles Hopkins Theatre, New York. It was then produced by him in London at the St James’s Theatre on February 1930. 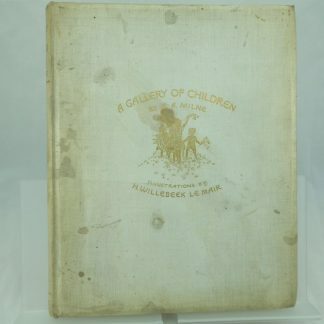 This book includes the cast and play of this production. 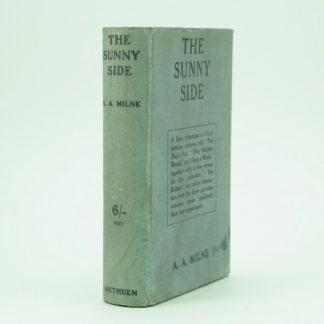 Milne went on to write more than twenty five plays. 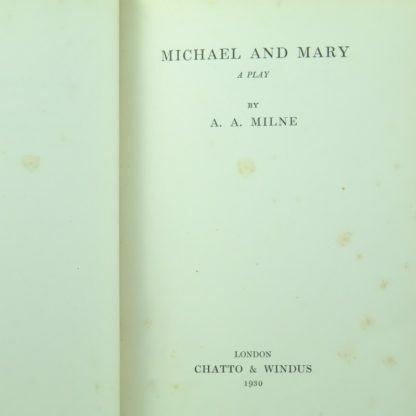 Michael and Mary is considered to be one of Milne’s most successful light comedic dramas. 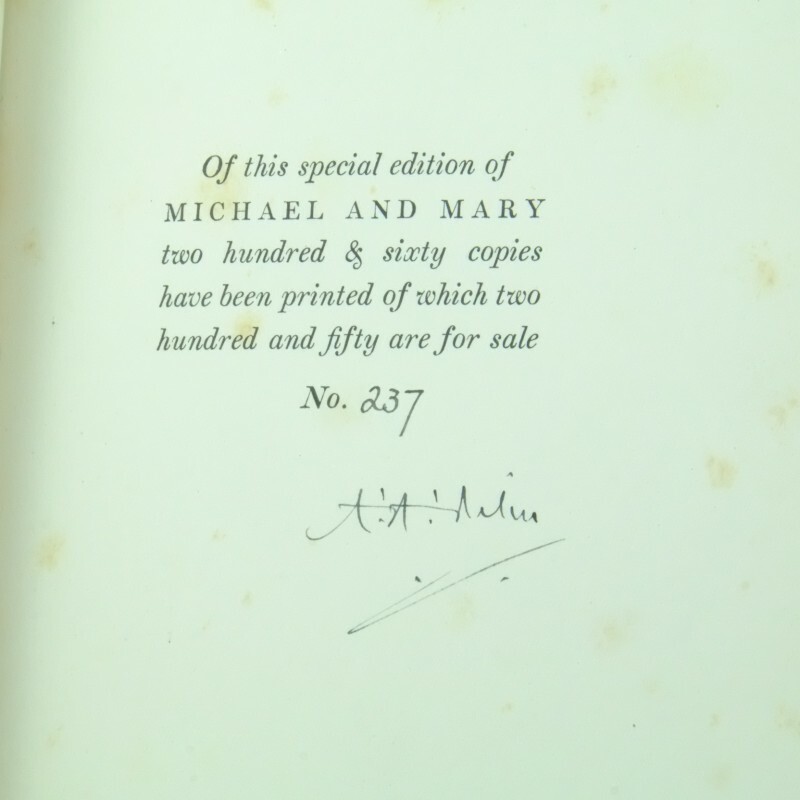 It is rare to find a signed edition in such good condition. 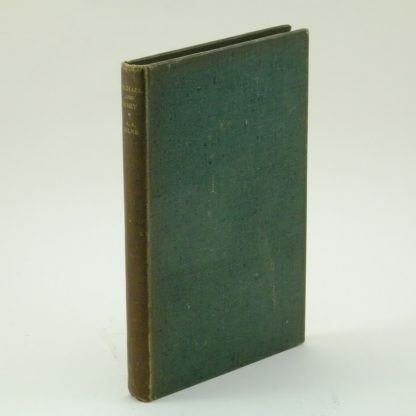 Green, hardback cloth boards with some darkening and wear on the spine and bright gilt lettering. 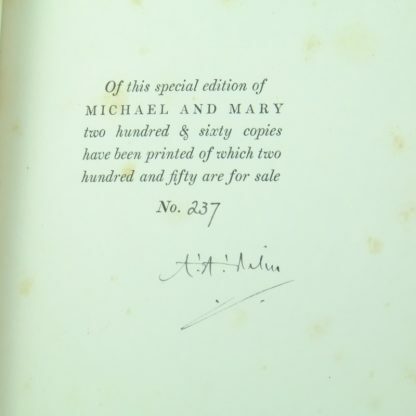 Confirmation of the limited edition status with a signature of A. 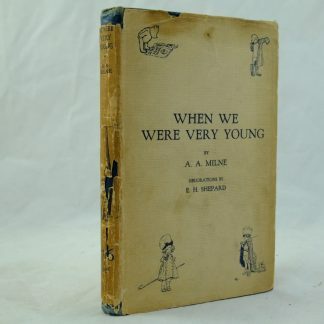 A. Milne on the front pages. Number 237 of 250 copies printed. 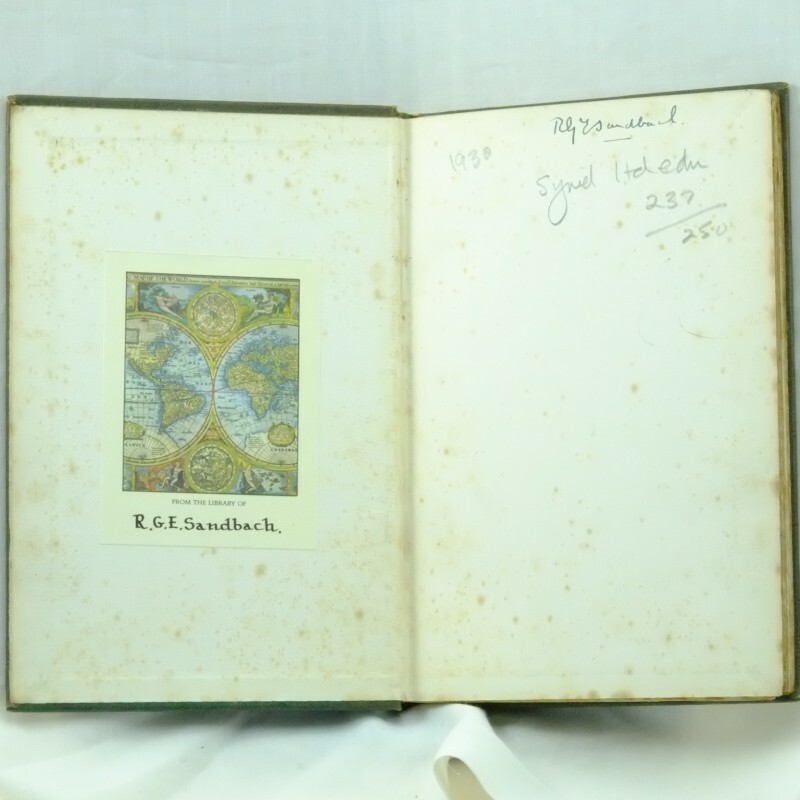 Owners bookplate on the front endpaper and “237/250, 1930″ written in pencil. A book sellers sticker on the rear end page. 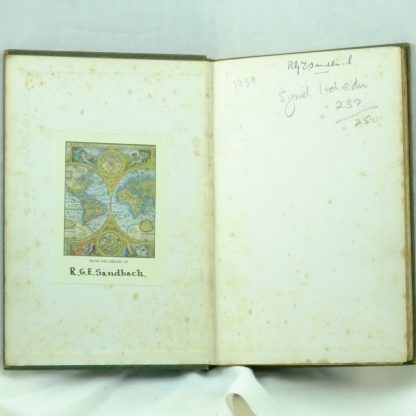 An ink signature of a previous owner on the free endpaper. Some foxing throughout the content. 96 printed pages. 8 1/2 x 6”. Some pages are uncut and browned. 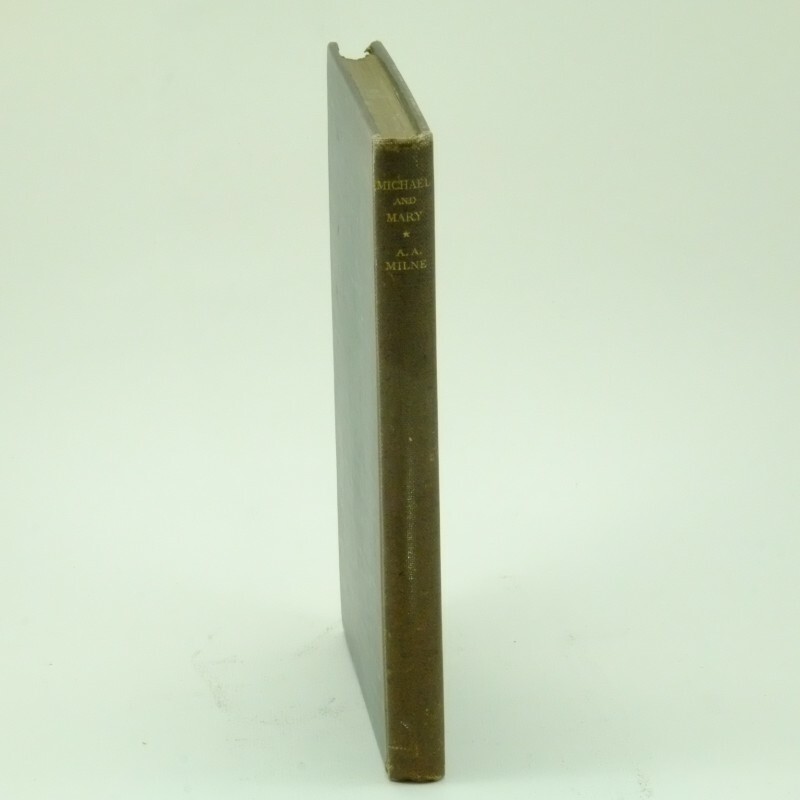 A tight copy in good condition.